A bunch of states are serious about giving people information about green homes. New England is taking this on, with the Northern New England Real Estate Network (NNEREN – the MLS for New Hampshire, Maine and Vermont) now including the HERS Index Score of homes on its listings. This is a huge step, because more real estate websites in more states and counties are starting to include this in their MLS, giving a serious boost to the green economy. What’s A Good HERS Score? 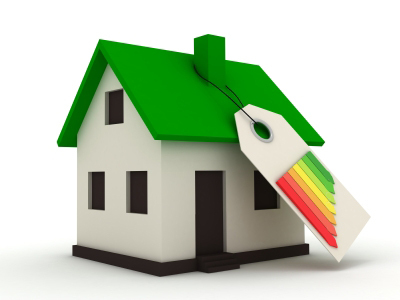 The HERS Index Score is really important for people who want information about the energy efficiency of a home. An Index of 100 is the energy use of an “American Standard Building”, and an Index of 0 means that the house is so efficient is doesn’t need to buy any energy to run it. Granted, very few homes will have a HERS Index of 0, but obviously, the lower the score, the better. Having the HERS Index included in the MLS is good for homeowners who want to sell their house because it gives them an additional selling feature that other homes might not offer. If a home has been rated, and has a good HERS Index Score, it can fetch a higher selling price than a home that hasn’t been rated. People aren’t just looking at the one-time cost of buying a house – they’re looking at the long-term costs too. A lower HERS Index means lower energy bills. That’s something people want to see. Being able to see a home’s HERS Index doesn’t just give the buyer a better idea of what their future energy bills could look like if, but they can use that information to compare similar houses in similar neighborhoods. It also lets builders market their homes using the HERS Index and it gives appraisers better information so they can calculate the market value of homes with HERS Scores. This additional information will undoubtedly spur the economy, because as more people look for this information, more people will be getting their homes rated before putting them up for sale. This means an increase in business for Home Energy (HERS Index) Raters, and for people who certify homes as Energy Star Certified, LEED and more. Get Your Home's HERS Index Score! Your local Building Energy Pros affiliate can help you find out your home’s HERS Index Score - and help you make your home more comfortable, durable, safer and more energy efficient. Contact Building Energy Pros at 1-800-309-6006 or www.buildingenergypros.com for more info.